Here are a few projects that I've been working on that I have yet to write about. I've managed to do a few projects between client work. Here's part of what I do for fun. 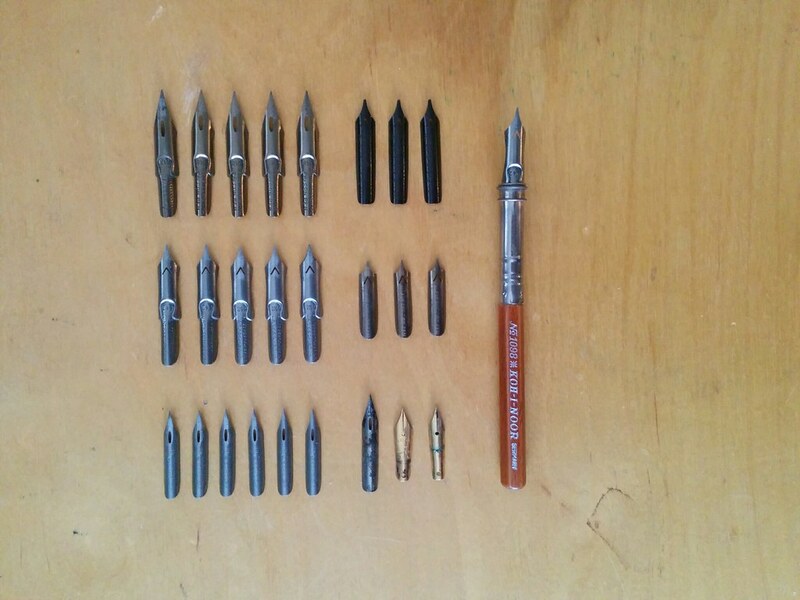 Found these nibs and a pencil extender in a thrift store. The previous owner used the pencil extender with a twig to hold the nibs in place. This has inspired me take to writing in cursive... just the way my momma taught me. I journal every other day with a fountain pen now. My penmanship has improved, its become prettier... and its inspired me to change professions. I'm going back to school to become a doctor. 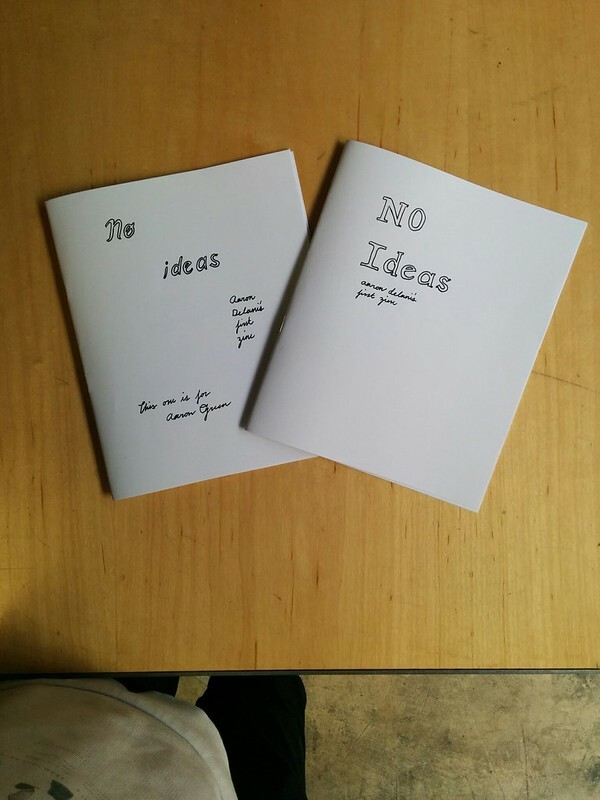 The First Zine, "No Ideas"
I've been a member of the Independent Publisher's Resource Center (IPRC) since March. I used to work from there. It was really motivating being there and being surrounded by creative people who were making zines, posters, pamphlets, books, and various other printed materials. After being there for quite some time, I decided to make a zine in my break time, twenty pages, nothing complicated. The problem was I had no ideas of what the zine would be about, hence the title "No Ideas." I've been playing around with the idea of making practical daily useful things. 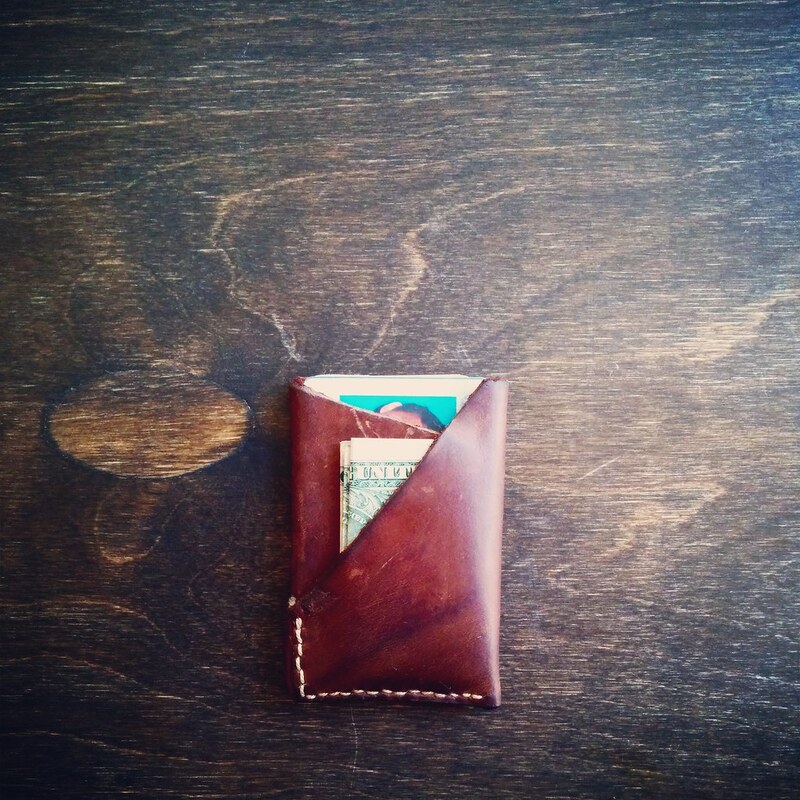 To start with this project, I looked at a simple object that I used every day, my wallet. I had a simple bifold, but I didn't carry that many cards or cash to begin with. I designed and created three prototypes of this wallet. It is crafted out of a single piece of leather. The leather is tensioned, formed, and conditioned to the shape of the cards. It will hold up to 8 credit cards, 4 business cards, and 8 folded bills. The primary contents of the card, can easily be accessed with a simple thumb motion. So far, this wallet has held up with daily use. I've designed a simpler version that has yet to be cut and stiched together. I guess I'm pretty content with the prototype I made. I gave the third prototype to a friend and he loves his. When a dear friend of mine told me that she was in the market for a commuter bicycle because of back problems, I started brushing up on prior bicycle repair knowledge. The bicycle that she used to commute with had a drop bars that put her in a crouched position for her more than twelve miles. After years of riding this way, it was giving her some back problems. I managed to find a bicycle in the same frame size and posture as her previous bicycle. I mocked up the solution to her with simple flyway handlebars. 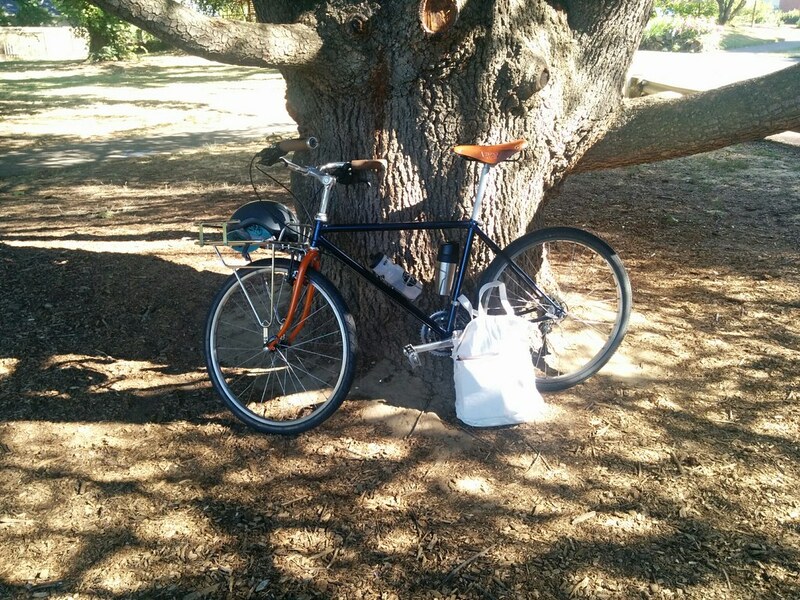 I named the bicycle, "The Visitor" as it was only going to be with me temporarily, and if she didn't like it, I'd have an extra bicycle for potential visitors from out of town. She loved the bicycle and helped build the rest of it. Even changing the shifters and tires at one point. She has thus named the bicycle "Rosie." 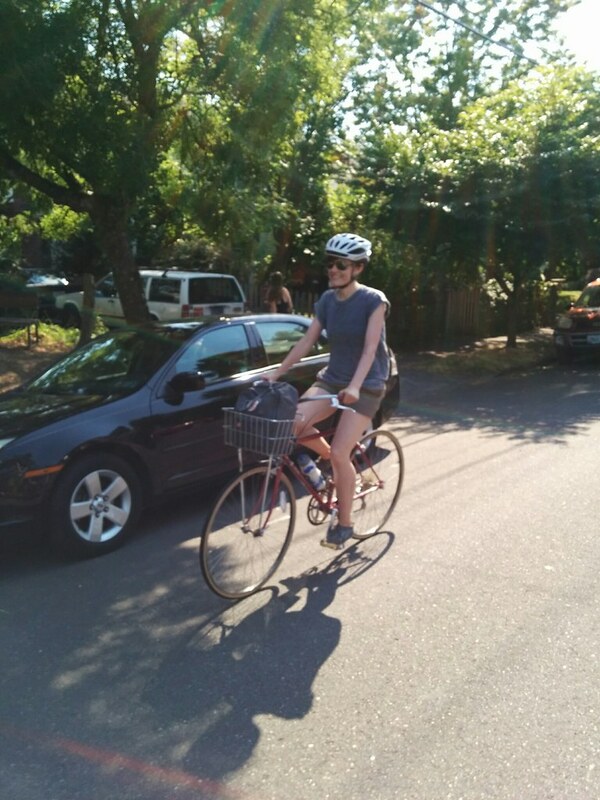 Rosie and her owner ride happily together with upright regal style on the streets of Portland. After building Rosie, I was inspired to build an actual bicycle for visitors. The bicycle needed to be adjustable for a variety of heights, compact, comfortable, and has an easy carrying solution without the use of panniers. The ideal candidate would have a low top tube and "fat" tires. An easy fit was a mountain bike frame. 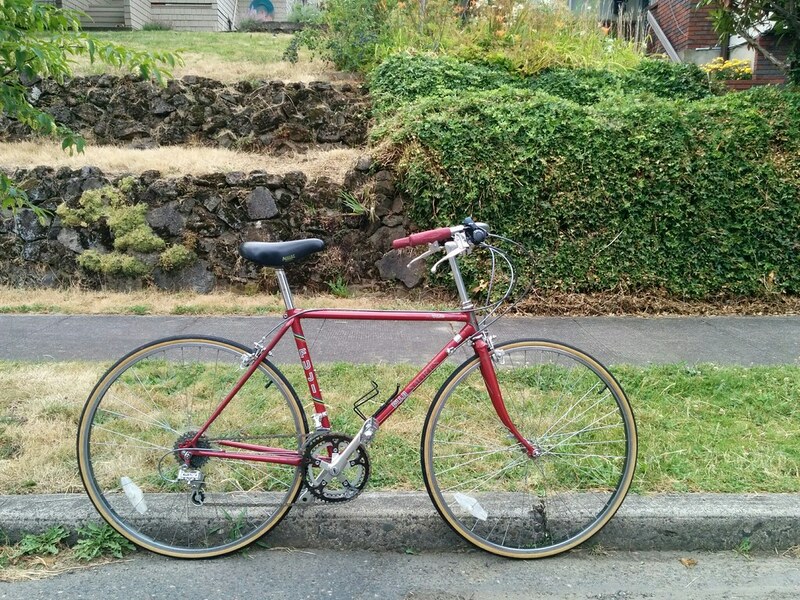 I managed to acquire an old Bridgestone MB-2 Mountain bike from 1987 at a bargain. I had it powder coated and re-built the bicycle from the ground up. Its still currently a work in progress but its in very ridable condition. 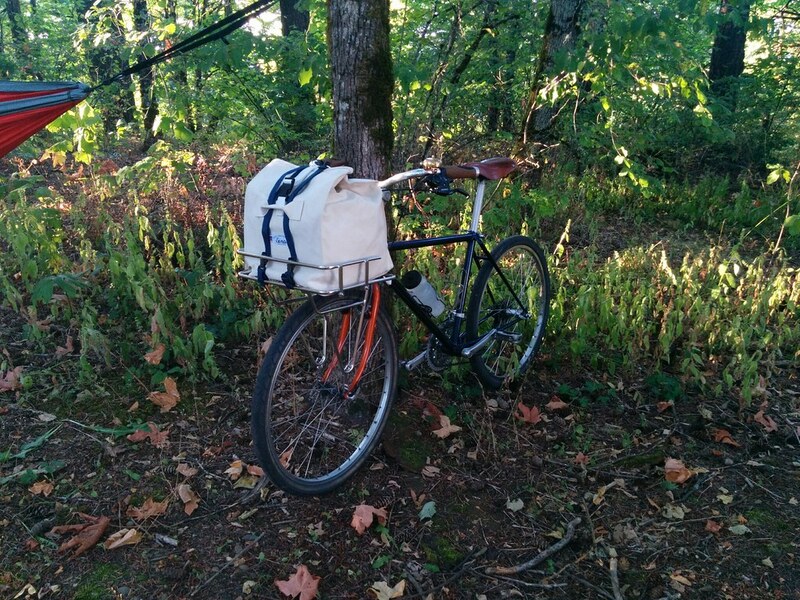 Equipped with a Soma Porteur rack, it can carry up to 40lbs of cargo. Its handlebar position and seat position is fully adjustable to fit riders 5'5" to 6' comfortably. Only problem is, the taller you are, the more awkward looking the bicycle gets. That's a simple bag I had commissioned a local canvas bag maker to stitch up for me. The dimensions of the bag are 12in by 12in. It fits in the porteur rack perfectly. The idea for this simple bag was to be able to throw in various things in it and have it just hold the contents. I can easily remove, stow and carry the bags with the straps that are attached to it. So far, its proven really useful and easy to deal with. I've started imagining and designing a more versatile porteur bag that I'll be building myself in the upcoming months. So, that's it for now, I'll hopefully elaborate more on these projects when I have the time... or you can force me to do so by letting me know in the comments section of this post.